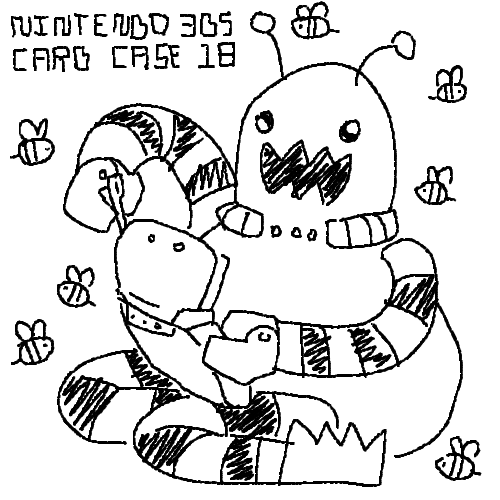 I got one of those Club Nintendo cases that holds 18 DS and/or 3DS cards yesterday, and I really want to make a custom Beeserker cover/inside for it. This is an idea I'm considering for the front. Another idea I have is to just put an X in front of one of the old Beegirl drawings and write "no glasses required" below. My suggestion would be something like the Mario insert.